I don't have any special dish, but I like to try something new) Everything is tasty if you know how to cook it rightly ;)I know that world loves me and I try to be thankful for that to the universe and to people. Parade of Brides - is an international event that is held in many cities of the world. Parade of Brides is devoted to the International Family Day (observed May 15) with 25-50 women participating in each city. The main goal of the event is to propagate the publicity in the social significance of family values and the propaganda of family well-being as core fundamentals of societal prosperity and habitation. The event is of a non-commercial, socially-advertised nature. 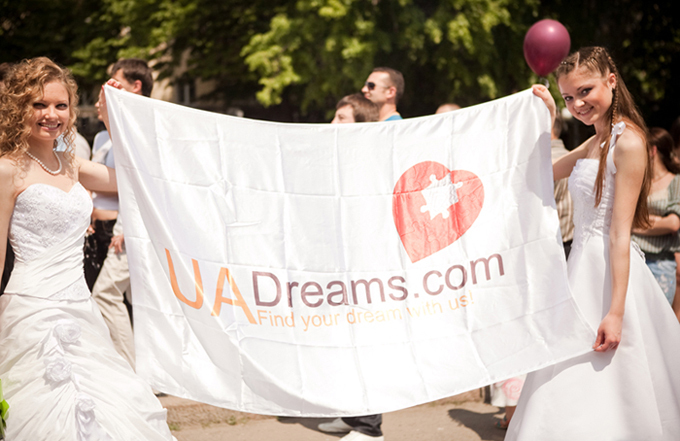 The annual biggest parade of brides in Ukraine took place with the support and the organization of our agency UaDreams.com! So. Poltava. Morning. 200 Brides! 200 Wedding Dresses! 200 smiles flushed the city with festive mood, tenderness and love. The parade moves along the streets of the city... Brides. Each of them feels beloved, unique and inimitable. Throughout the day the main streets were filled with fantastic performance of jugglers, clowns and Oriental dancers. Faery high day! You only imagine 200 brides throwing their bouquets! 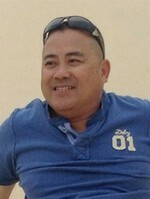 Simply watch our photo and video. We take an active social position (see more about our charity events). We work to strengthen family values in society because we care not only of company profits. We love Ukraine and think that it is Ukraine where the best brides in the whole world are! That is why we are professionals. Simple find your dreams with us! Dear friends, though our mission in helping hearts to join together, thanks to you we also help orphan children all over Ukraine. There are a lot of children left alone without parents in Ukraine, as well as in other countries unfortunately. And we try to give them a little bit of what they are deprived: kindness, love, gifts, sweets, attention, warmth, warm clothes, holidays! For sure we are not able to solve all social problems of our country but we are trying to make a world a little bit better and warmer, especially for children who don't have parents due to their destiny. The Parade of Brides was held in Poltava city, Ukraine. It was superb, big and beautiful show-march in which more than 50 brides of the city took part. None was left indifferent with the bright show! Flashes of cameras, shooting of videographers, journalists and passers-by were sincerely fascinated and admired with the beauty and delicacy of brides. The Parade of Brides is social non-commercial event. UaDreams.com agency being a co-organizer of this event wants to attract the attention of public to social significance of family values. The Parade of Brides gives the opportunity to live through exciting moments of a wedding celebration. And our agency reminds and motivates the public to pay attention and to increase the value of such notions as family, marriage and love. We sincerely believe that family is the main thing in life. The creation of family begins with sheer feelings to each other and the acquaintance - with the UaDreams.com find your dream with us! Here you can see some pictures from the Parade of Brides. The ladies are so young, beautiful, elegant, charming, aren't they? Wedding is one of the most wonderful events in the life of each person! Are you looking for a Christian Russian woman?